The History Matters Young Filmmaker Awards is an opportunity to get involved in documenting and exploring the history of African and Caribbean people in Britain. We’re keen that this history is told from the point of view and perspective of young Britain, therefore the competition is open to all young people aged between 11-19 years old. This exciting competition is being launched by the University of Chichester in conjunction with the Black Cultural Archives, the Historical Association, Every Voice and History Matters. The competition is open to all young people aged 11-19 years who live in the UK. All applicants must be in full-time secondary or further education, entires can be submitted by schools, colleges, youth organisations, community groups and individuals. Young people who are no longer in Education, Training or Employment (NEET) may also enter. You don’t need to have studied filmmaking or the history of African and Caribbean people in Britain before. You don’t need expensive equipment, just lots of enthusiasm, a camera and editing software. Great films can be made using devices such as smart phones with filmmaking apps. You can apply by yourself or with friends, or as part of a filmmaking group at your school college or youth group. WHAT WILL THE THE JUDGES WILL BE LOOKING FOR? Sorry, entries for the 2018 Young Filmmaker Awards are now closed. Founded in 1981, the Black Cultural Archives’ mission is to collect, preserve and celebrate the heritage and history of Black people in Britain. 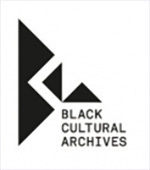 BCA opened the UK’s first dedicated Black heritage centre in Brixton, London in July 2014, enabling greater access to its growing archive collection, dedicated learning spaces and an exciting programme of exhibitions and events that explore British history from a unique perspective. Visit their website. The Historical Association supports the teaching, learning and enjoyment of history at all levels and brings together people who share an interest in and love for the past. Founded in 1906 by a small group of history teachers and academic historians to support the growing need for good history resources in schools, the Historical Association inspires, enables and encourages people to get involved with history, whether in the classroom, at college, in the library or at home. Visit their website. Every Voice works to achieve a world where every voice is fairly represented, heard and understood. 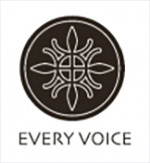 Every Voice was founded in 2009 in the borough of Islington, engaging thousands of residents and community organisations to influence race equality. Through collaborative networks, conferences and community research, Every Voice has shaped more inclusive, local, social policy that considers the needs and realities faced by all communities. Every Voice has evolved into a social enterprise, and broadened community engagement work to include education, employment, arts, heritage and culture. Visit their website. History Matters is a group of black historians and teachers led by Professor Hakim Adi of the University of Chichester who have joined with others from cultural institutions, charities, governing bodies, and societies to discuss concerns about the under-representation of students and teachers of African and Caribbean heritage within the History discipline. 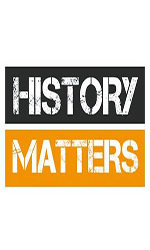 Visit the History Matters Facebook page for more information and conference news. This competition is open to anyone aged 11-18 years on 1 September 2017 (or aged 19 if in full-time further education) and who lives in the UK. Young people aged 19 years and under who live in the UK and are no longer in the education system are also eligible to enter. Entrants are responsible for ensuring that their entry does not infringe the copyright of any third party or any laws (You need to make sure that you don’t use items to make your film that need special permission, for example, music or images.